Makeup Trend 2018: Which Do You Prefer? Makeup has been an essential daily kit for most women. Today, as the trend of wearing makeup is significantly rising compared to decades ago, numbers of beauty brands are launching many inventions of their products. 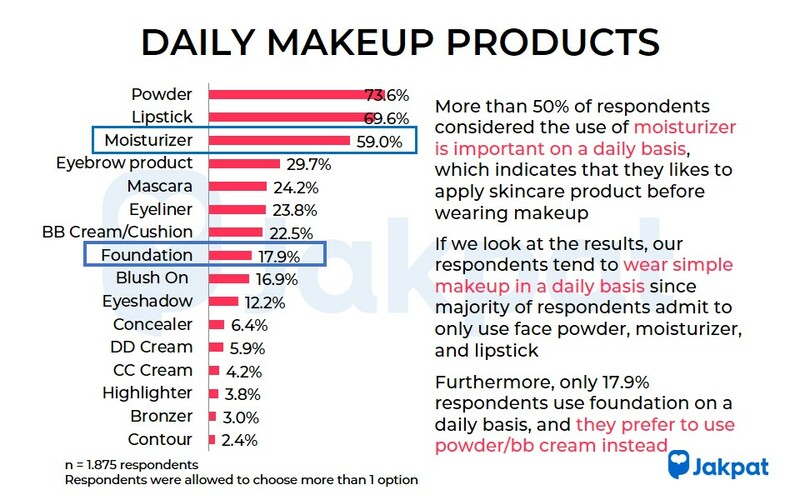 Hence, not only legendary beauty brands are creating product innovation, numbers of new makeup brands are also emerging. 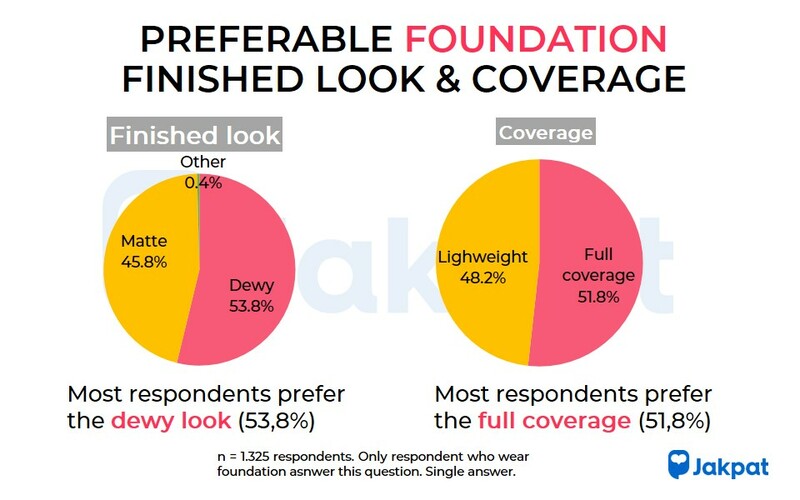 Understanding this condition, we create a survey towards 1.875 female respondents in nationwide, aimed to capture respondents preference toward makeup product, brand, and style. 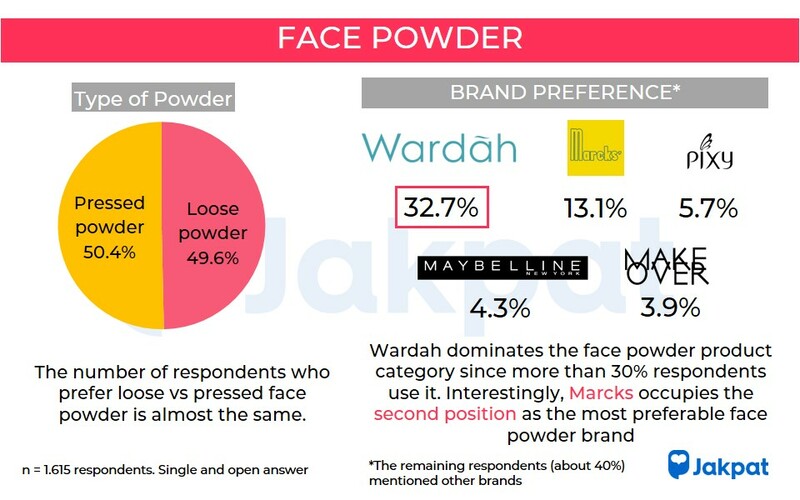 Moreover, we also provide a map of makeup brands’ ranking for each category based on the actual makeup brand our respondents are currently wearing. 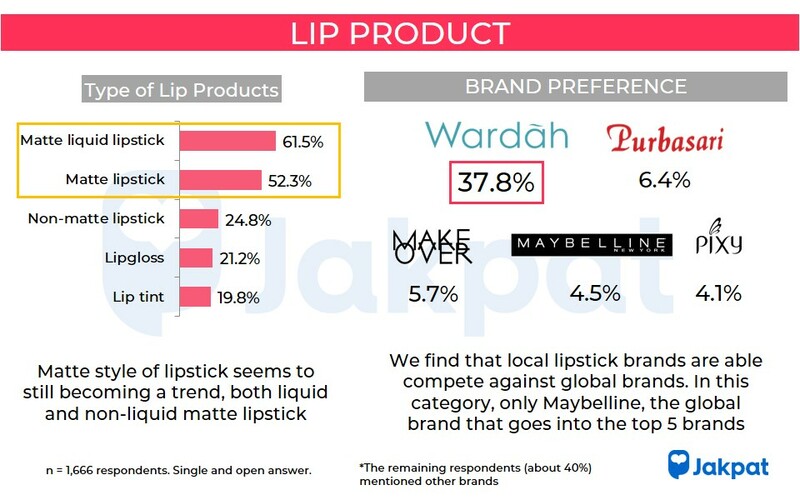 By understanding this ranking, we can see a clear picture of the competition between local and global makeup brands as it is shown in our respondent’s actual usage. This entry was posted in Download Reports, Health, Lifestyle, Marketing on August 6, 2018 by Syaifa Tania.